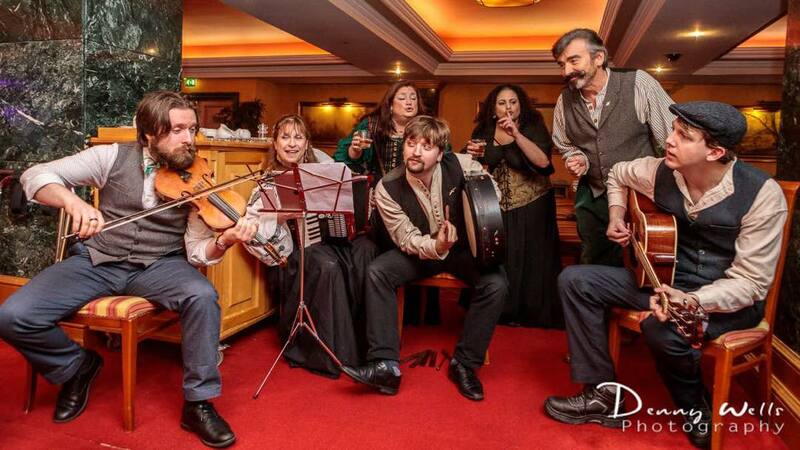 We are "Irish Pub Balladeers"; a band of seven Anchorage musicians, who play acoustic instruments, and sing traditional Irish & Scottish songs, sea shanties, and pirate fare, whose lyrics often have a wry, humorous and sometimes bawdy twist. Vastly enjoyable entertainment! A drinking band with a small piratical Irish problem. "One of the houses on the end of my street is home to the members of a local Irish folk band so some morning I'll be walking out to my bus stop to a rollicking accordion and mandolin like I'm finally setting out to seek my fortune on the high seas or some days I'll come home to a weary aching lament that is so sweet and so yearning that I'll miss the drowned lover I never had." 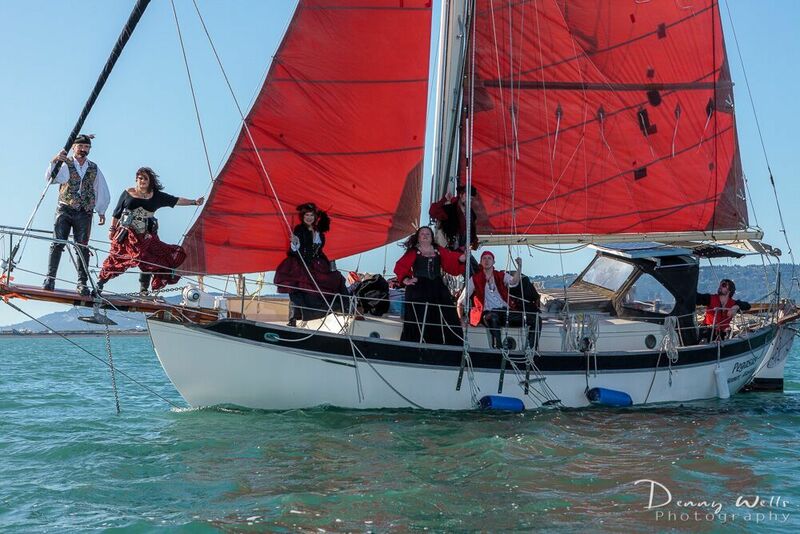 "Lucie Woofter & mates (Rogues & Wenches) - a great combination of often tragic classic Celtic ballads leavened with irreverent, tawdry, tavern songs and salty sea shanties: A full feast for the palate. Their sea shanty "Mingulay Boat Song" reminds me of how it felt returning from a weeks long black cod fishing voyage." Your lyrics are great...funny and intelligent, a gift that doesn't always accompany great instrumental ability. You all are amazing entertainers and musicians and I can tell you have a great time doing it! It was catching! And you made our event so special. Thanks to each and every one of you!!!! Find more about Rogues & Wenches favorites artists!